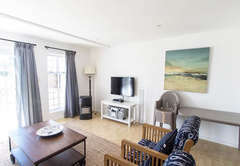 25 The Tides is a property providing self catering in Struisbaai for up to 6 guests visiting the Cape Agulhas region. 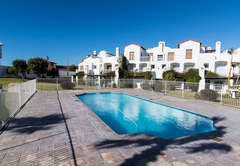 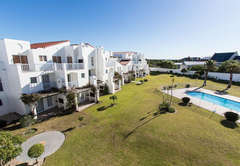 25 The Tides is a charming self catering apartment located in a secure complex in Struisbaai. 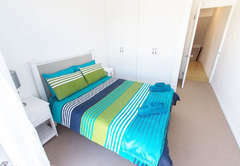 It is ideal accommodation for a family. 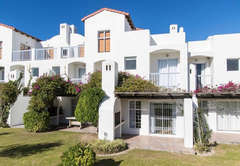 Shops, restaurants and the beach are a short walk away. 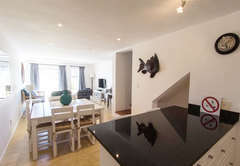 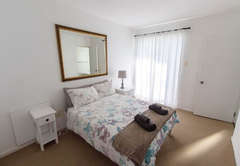 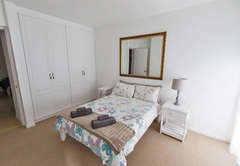 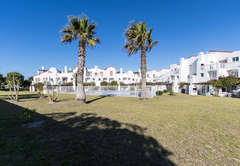 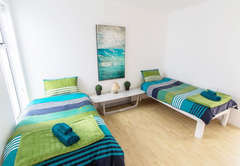 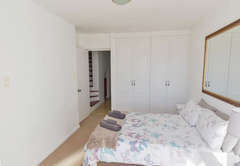 The apartment is tastefully decorated and has three bedrooms, two bathrooms and an open plan living area. 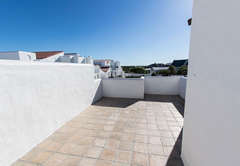 The main and second bedrooms are furnished with a double bed and the third room, on a large landing, has two single beds. 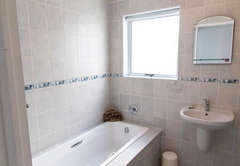 Both the en-suite and additional bathroom have a bath and shower. 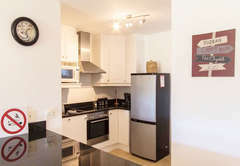 The kitchen is fully equipped for self catering and includes a dishwasher and washing machine. 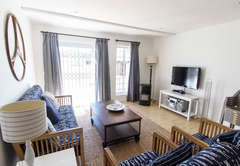 The lounge is comfortably furnished and includes DStv. 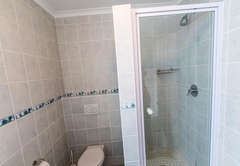 Sliding doors lead onto a furnished patio which has braai facilities. 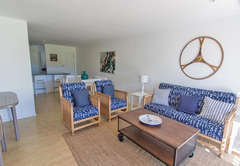 Response time25 The Tides typically responds to requests in 5-10 minutes.